In an office overlooking the heart of campus, Jennifer Drake and Chassity Holliman-Douglas joined The Evergreen Magazine staff for a conversation about campus climate, fresh leadership, and what it means to be a student-ready campus, both academically and culturally. Chassity Holliman-Douglas sits down for a conversation with Jennifer Drake. Drake and Holliman-Douglas, who were hired within months of each other during summer/fall of 2017, both hold high credentials, are rescue-dog owners, and are inspired by Evergreen’s past, present, and future. Last spring was eventful for Evergreen, thrust into the national spotlight over definitions of inclusion, freedom of expression, and safety. For Drake and Holliman-Douglas, joining Evergreen at this moment was the professional opportunity of a lifetime and a chance to lead administration, faculty, staff, and students in the critical work ahead. National Engagement: Member of the National Association of Diversity Officers in Higher Education, the Critical Trajectory Diversity Officer Learning Circle, and the National Association of Student Personal Administrators. Dog: Chihuahua mix named Yoko Douglas. Loves: Traveling with her husband, dog-snuggling, and marathon-watching Golden Girls. On the forefront of Drake’s mind is a student-ready and student-centered campus—a place where instructional learning directly relates to student interests and real-world experiences. Evergreen has cultivated this type of teaching and learning since its beginning. This piece of Evergreen’s DNA is what pulled Drake to the position of Vice President and Provost for Academic Affairs. 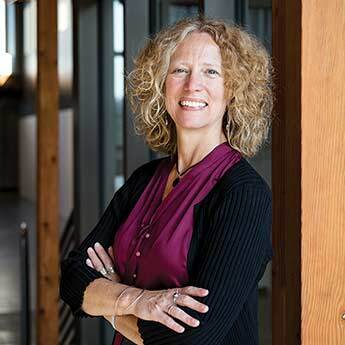 She is inspired to build on Evergreen’s traditions, reputation, and strengths. “When I learned about the job I thought, ‘Wow, Evergreen, that would be incredible, because what Evergreen has been doing since day one is engaging students in high-impact practices,’” said Drake, who came from a faculty and dean position at the University of Indianapolis. Drake is currently spearheading several new academic initiatives for the next five years and beyond at Evergreen. Curricular Pathways is one academic priority. During the 2017–18 school year, Drake and teams of faculty, deans, and other colleagues have been developing a clearer pathway for undergraduates who are eager to pursue certain themes. This includes offering more opportunities to engage one-on-one with faculty dedicated to first-year students, as well as increased clarity and transparency of programs, curriculum, and outcomes. Chart illustrating the changing makeup of the Evergreen body. Data from enrollment reports available on our institutional research and assessment page. One thread woven through the conversation was a vision for strategy. For connecting the dots. For assessing, filling gaps, and making recommendations. They are taking a bird’s-eye view of the college and playing their hands accordingly. 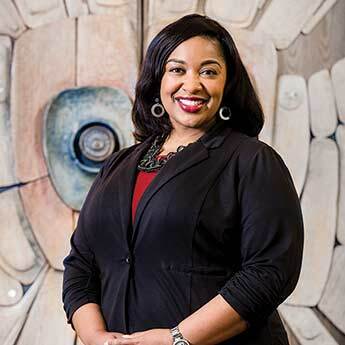 For Holliman-Douglas, whose position as Vice President for Equity and Inclusion and Vice Provost is the first of its kind at the college, planning begins with supporting and bridging existing equity efforts. In an audit of Evergreen, Holliman-Douglas discovered a variety of grassroots groups working to understand and advocate for equity, including the underserved/undocumented student taskforce, Native Student Alliance, Community Forward, and many others. Many of these groups include staff, faculty, and students, and are sometimes student-led. Some have reached out to Holliman-Douglas for leadership and direction, even during her campus interviews. “The students were eager to let me know about their experiences at Evergreen and they came in with a lot of passion. To facilitate that conversation, to understand the issues they were confronting—that was really my turning point,” said Holliman-Douglas. “I could envision working with the students, faculty, and staff to make some good change happen. Awards: University of Indianapolis Faculty Achievement Award 2009 – 10 and the Indiana State University Educational Excellence Award 2000. Dogs: Cookie, a rat terrier mix and Daisy, an English pointer mix. Loves: Traveling to her daughter’s sporting events, hiking and adventuring with family, and making a mean pie crust, recipe courtesy of Grandma Iva Riebennacht Regetz. Both leaders believe that social justice is the heart of progressive education, and see it as a kind of North Star as the college evolves. Both agree a student-ready college opens the benefits of a high-quality liberal arts and sciences education to more than just elites. 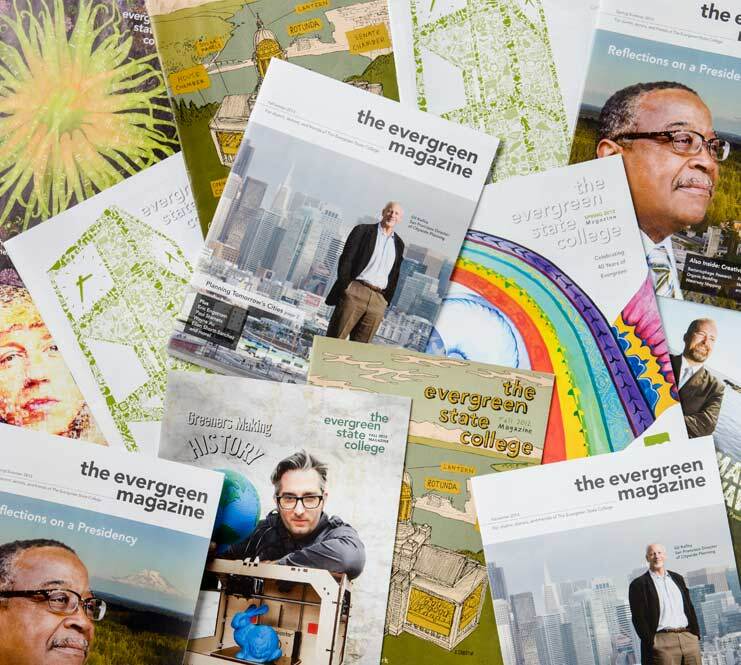 “It’s really important and powerful that Evergreen is a public institution and a point of access for all students,” said Drake. Arriving at Evergreen during a period of transformation and renewal, they are tapping into the innovative spirit of Evergreen to provide more equitable, transparent programs, services, and initiatives to engage all students, faculty, and staff.